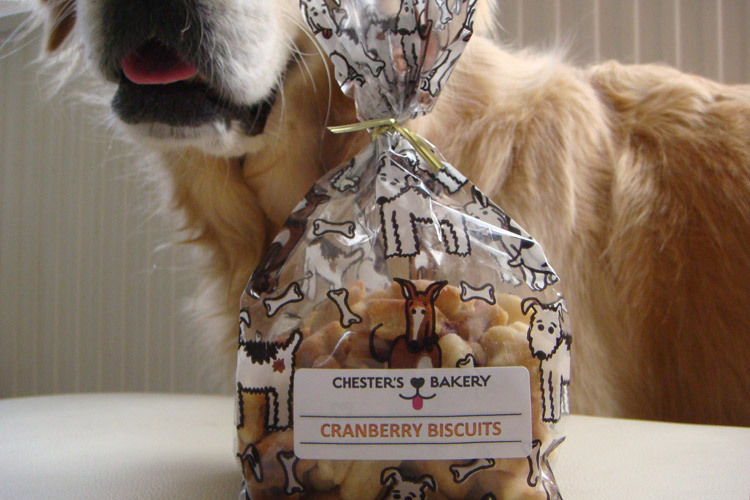 We love dogs that’s why we make our cookies with a lots of love and 100% all-natural and wholesome ingredients. We think of dogs as family members so we only use human-quality ingredients and do not use artificial colours, preservatives or flavourings. In addition, we use organic ingredients wherever possible. All our products are free from salt and refined sugars. To ensure that you receive only the freshest treats we bake to order daily. 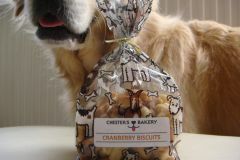 The great taste and bakery fresh smell of our treats are guaranteed to keep that tail wagging and your dog coming back for more! 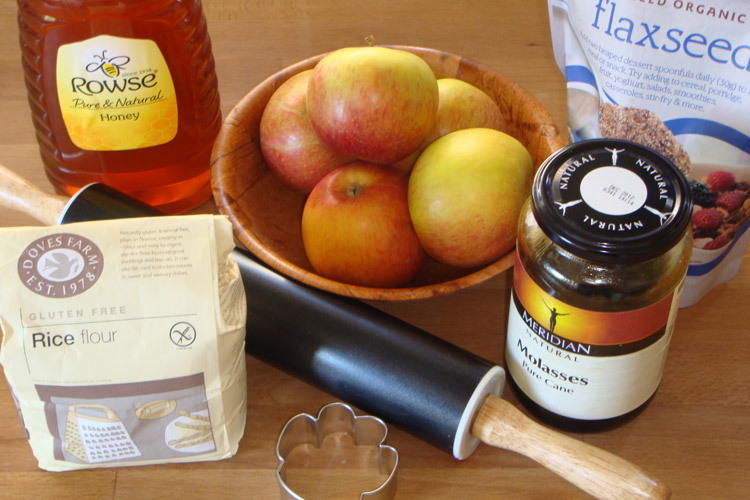 Our wide variety of cookies, treats, biscuits and cakes are made from everyday ingredients like whole-wheat flour, honey, homemade peanut butter, apples and cranberries. To add natural remedies that are beneficial to your dog’s health we use herbs and spices like mint leaves, parsley, cinnamon and vanilla. Especially for all dogs with a sweet tooth we make cookies sweetened with bananas, organic honey, carrots and organic molasses. All these natural sweeteners are beneficial to your dog's health so you can feel good about giving them to your canine friend. And check out our delicious cakes for every occasion! Birthdays, training graduations or just because they are so cute – you don’t need a reason to surprise your pooch with a yummy birthday cake full of delicious ingredients like cream cheese, natural cane sugar and carob, a safe alternative to chocolate. We even personalise every cake to your liking! Even dogs with allergies are catered to by using gluten- and wheat-free flour or alternatives like rice flour. Whether your dog struggles with bad breath or with a little bit of extra weight, you will find a treat, cookie or biscuit that will please your canine friend.